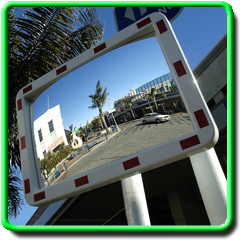 The Elite Rectangle Safety Mirror is designed specifically for use in traffic situations. The scientifically engineered radius of curvature plus the visibility enhancing red reflective markings equals the most effective road safety mirror available. 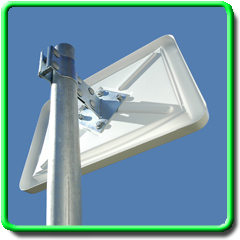 In addition, the back is made from a 100% UV stabilised advanced plastic composite ensuring superior longevity and strength.